With Apple having announced iOS 8 and subsequently rolled out the first beta over the past couple of days, it’s no surprise to see that users have flocked to download and checkout some of the new features. But, being in beta and all, it’s still far from finished, and having had a little taster of what’s to come, it’s quite likely that you’ll want to revert back to the more familiar, stable environment that is iOS 7.1.x. If you have tried the beta and wish to step back to the latest public release, we’ve got the steps for you below. Because nearly all iOS releases are smooth and seamless, in-keeping with Apple’s general motif, many of us hastily expect betas to be the same. But iOS 8 beta 1 is very much an unpolished gem, with plenty of work required before it can be deemed ready for prime time around September, and thus, those who eagerly grabbed the new beta release may be just as keen to dispose of it and enjoy more of a stable experience. We always encourage that beta testers use spare devices, as opposed to daily drivers, to satisfy their curiosity over the betas, but if you’ve jumped the gun and wish now to utilize the safety net, here’s how you should proceed. Note: At the time of writing, iOS 7.1.1 is the latest public release version that Apple is signing, and hence you can only downgrade your device to this version of iOS. Step 2: Plug your iPhone, iPad or iPod touch to your PC or Mac via USB cable and launch iTunes. In iTunes, you’ll need to click your iOS device from the navigation pane on the left of the main window and locate the Restore iPhone button – don’t click on it just yet. If prompted. Turn off Find my iPhone in Settings >iCloud before restoring. 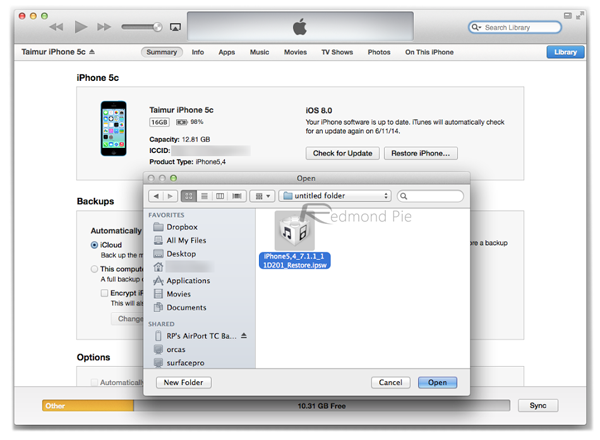 Step 3: In Windows, hold Shift, and in OS X, hold the Alt/Option key and then click on Restore iPhone, and when prompted, browse to the firmware file you downloaded in Step 1 and click Open. Step 4: Straight after, you’ll be run through a confirmation procedure, and after iTunes works its magic, your device will successfully downgrade to iOS 7.1.x. This process is, thankfully, both easy and relatively painless, but when the final edition of iOS 8 manifests, please remember that downgrading is likely to be impossible. For now, though, this is more than a welcome lifeline for those using a beta beset by bugs, and if you’re still on the fence with regards to trying this beta, please only do so if you have a spare device available. I have downloaded IOS 8.0 to my iPad and wish that I hadn’t. It is sluggish to the point of being worthless. many videos no longer are able to be played. The email function is all messed up. 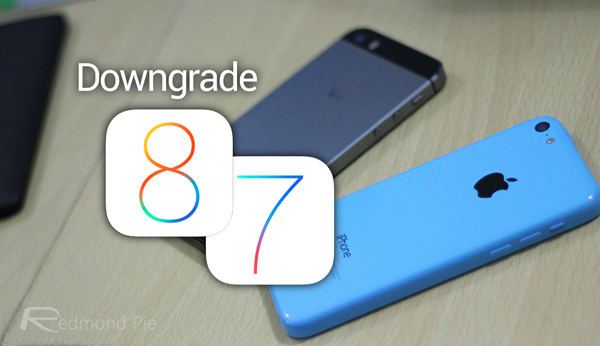 If I cannot return to IOS 7.1.1, I will have to throw my device away.